If you haven’t already read Dave Ramsey’s Complete Guide to Money, check it out! The hardcover book is discounted, and the Kindle version for only $9.99! 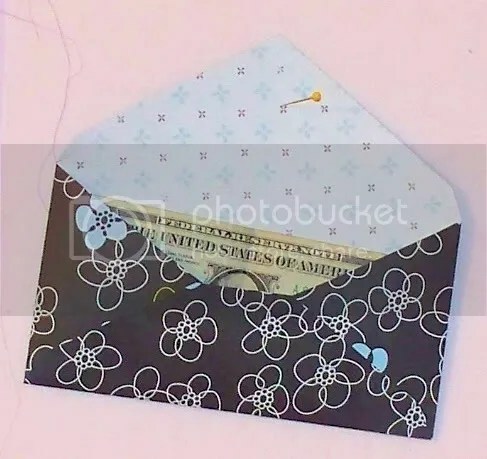 Dave Ramsey didn’t invent these fancy envelopes, of course. The ones we got from him were boring. I got the envelope template here and the idea for a cover here . 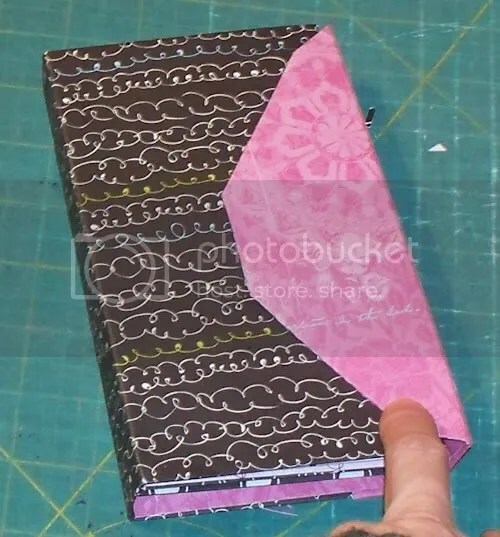 I made a lot of changes in the cover, but the envelopes are pretty much as written in the directions. I didn’t have two-sided scrapbooking paper, so I cut 12″ sheets of 1-sided paper down to 8 1/2″ x 11″ and then printed digital scrapbooking sheets (try pinterest for freebies!) on the back side. First, I made a practice envelope. 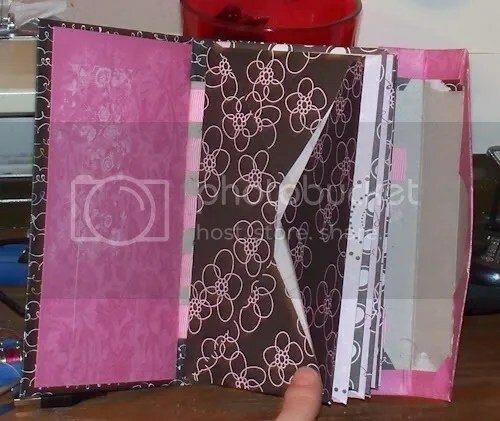 When I was sure I had it right, I made 8 of them and then bound them as shown in the second link, with grosgrain ribbon in the stitching. 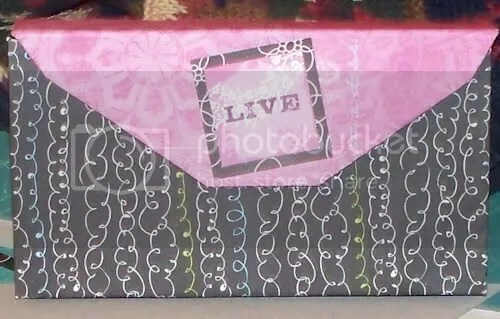 I made a cardboard cover and covered the outside of that with scrapbook paper. 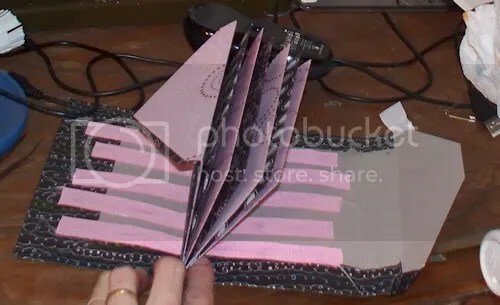 The flap is pink because the 12″ paper was really too small to cover the cardboard piece well. (the cardboard piece was 12″ to start with). 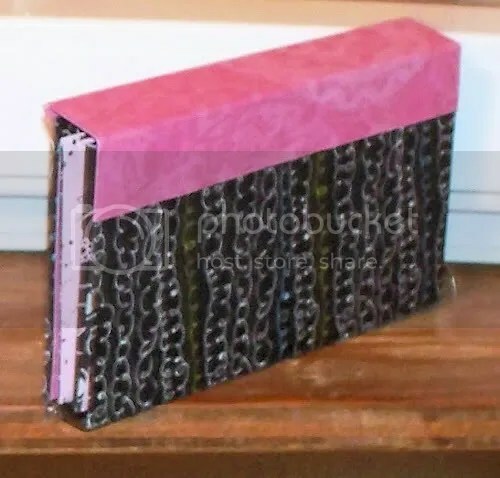 I should have added a strip of decorative paper down the center of the inside spine before I glued the ribbons down. The bare cardboard is visible when the book is open. I faced it with another piece of paper, to over the ribbons. I can’t bring the paper all the way into the center to cover the exposed cardboard because of the crease. It won’t stay there. If you decide to make this, I recommend cutting the envelopes from the pdf version of the file. 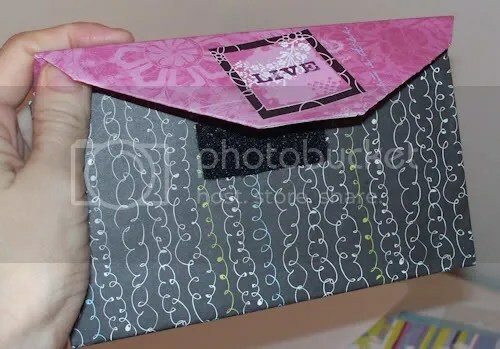 THEN, do the sewing before you glue the envelopes into “envelopes”. It’s important! Take my word for it.